It’s the most different of the parks, and the most UNLIKE what we have here in California. DAK is the most immersive of the parks. While there are different lands, they all have the same wild feel to them. But the reason I love DAK the most? I think Walt would have approved. I think this is, to some degree, what he wanted to do with the Jungle Cruise. (Our best Safari guide even made a Jungle Cruise joke.) He’d wanted live animals, but was convinced by his team that animatronic animals would provide a more consistent show. 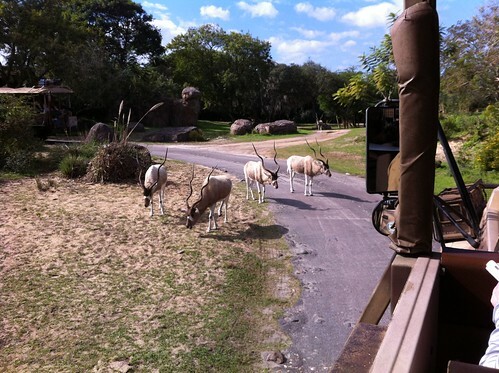 In Animal Kingdom, there is finally a Disney attraction that features live animals: the Kilimanjaro Safaris. It also has the tour I most want to go on: the Wild Africa Trek. It sounds AMAZING, but since it’s a new tour, they weren’t advertising it much yet. We found out about it on our last day at WDW, and all the spots had filled up. That is the first item on my list of things to do for my eventual return trip to Disney World. However, DAK does also have the thing I probably like the least about WDW also. Hester and Chester’s Dinorama. Can I just pretend that it doesn’t exist? It’s a big, rather tacky, dinosaur-themed area with rides and midway games. And it’s the one thing that really doesn’t fit. The dinosaur excavation playground just outside Hester and Chester’s is cool. They can keep that. But the Dinorama… No. There is also a moment of sadness. 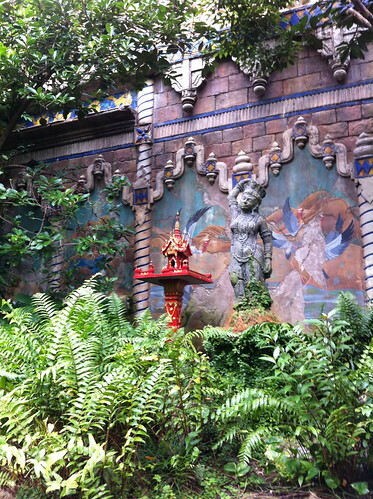 If you close your eyes and pretend really hard, you can go on the Indiana Jones attraction while in DAK. But as soon as you open your eyes, you are brought back into dinosaur-land. This is proof, however, of how much a good soundtrack and theming adds to an attraction. What am I talking about, you ask? Well, one of my favorite attractions in Disneyland is Indiana Jones and the Temple of the Forbidden Eye. (It’s not just a favorite of mine, either. It consistently has one of the longest wait times in the entire Disneyland Resort.) If you take the exact same attraction cars, and the exact same track layout, and plop it in Disney’s Animal Kingdom but rename it Dinosaur (with a soundtrack and back-story to fit), you will get… not the same ride, but instead a much, MUCH inferior one. If I ride this again, I will make sure to queue up the soundtrack to Indy before I get on the car, and see how much better it is when I can really pretend I’m on the good version of the ride. 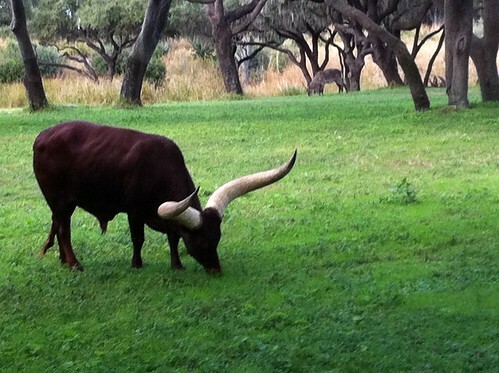 At any rate, though I did have a handful of complaints about DAK, it really was my favorite of the parks. True, Expedition Everest was crazy and I won’t be riding it again. (Have you played Rollercoaster Tycoon? Well, that ride is too intense for me.) And we didn’t go on Kali River Rapids because we were avoiding water rides, though if I go back at a different time of year I certainly want to try it out. There are good places to eat, too. 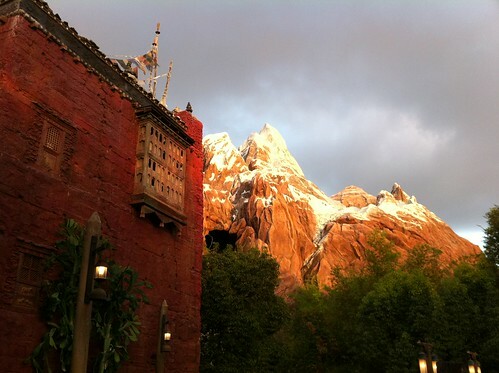 We enjoyed our lunch at Yak and Yeti a lot, though dinner at the Tusker House wasn’t as good as we’d hoped. And the seating at even the quick service eateries was the best in the whole resort. This does sound pretty cool! I enjoyed reading your reviews of each of the parks there. 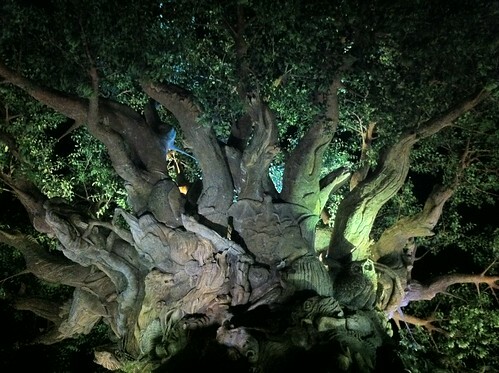 I also enjoyed DAK, although I’m not sure if it is my favourite. A funny thing: I never before thought of the Safari attraction as a land-version of the Jungle Boats! Thanks for that analogy! I’ve never been to a Disneyland Park but have really enjoyed your reviews.